Two college students have created a pair of talking gloves to help the deaf and mute communicate with the hearing world. University of Washington undergrads Tommy Pryor and Navid Azodi invented a pair of gloves and computer technology, which they call SignAloud, to translate American Sign Language (ASL) into text and speech, reported UW Today. "Access to communication is a basic fundamental human right, and every single person deserves to be part of the global community," said Azodi in the video. "However, those who are deaf or mute communicate differently than everyone else. They primarily use sign language while the rest of the world communicates verbally. This puts the deaf and mute community at a disadvantage." Pryor described that the gloves work by utilizing sensors on the hand and wrist to measure hand position and movement. 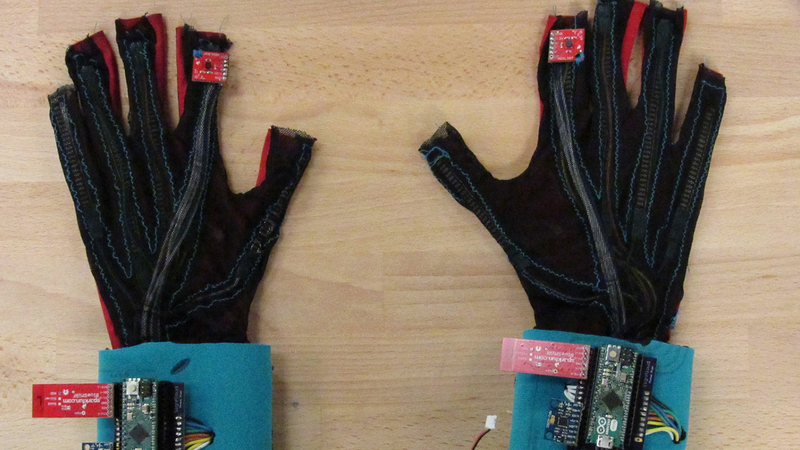 The gloves then send this data to the computer via bluetooth for processing. Once the computer recognizes and interprets the sign, it outputs a corresponding word or phrase in text and speech. UW Today reported that the prototype went on to win a $10,000 prize from the Lemelson-MIT program, which celebrates outstanding inventors. "Currently, there is no commercial sign language translator on the market," said Pryor. "With this invention, over 70 million people achieve a new level of independence."